Blue Origin is moving forward with its rocket development program, hot-firing a 550,000-pound-force (2,446.5-kilonewton) thrust liquid natural gas / liquid oxygen BE-4 engine at its facility in Texas this week. 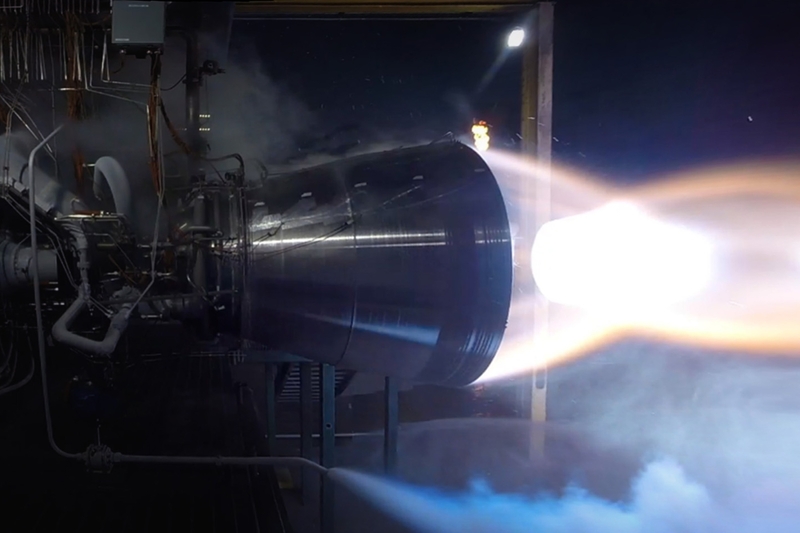 The hot-fire test is an important milestone for Blue Origin, as they plan to use the engine on their New Glenn rocket and are contenders for placing the engine on the new United Launch Alliance (ULA) Vulcan launch vehicle. While Blue Origin founder Jeff Bezos proudly posted his thanks to the engine team for the successful test on Twitter, along with a six-minute video of the test, the company has not released any details about the test itself, including (as Space News pointed out) thrust level, how long the engine fired, or when the test was conducted. Even with the details withheld from the general public, Bezos and Blue Origin have cause to celebrate. The successful test is a boost to the program after Bezos announced that a BE-4 powerpack failed during a test this past May. The BE-4 engine includes some unique features, including an oxygen-rich staged combustion cycle, liquid natural gas (LNG) propellant, and the use of the LNG itself to pressurize the propellant tank. An upper-stage version of the engine, called BE-4U, will be optimized for operation in vacuum, capable of multiple restarts, and include a larger nozzle. 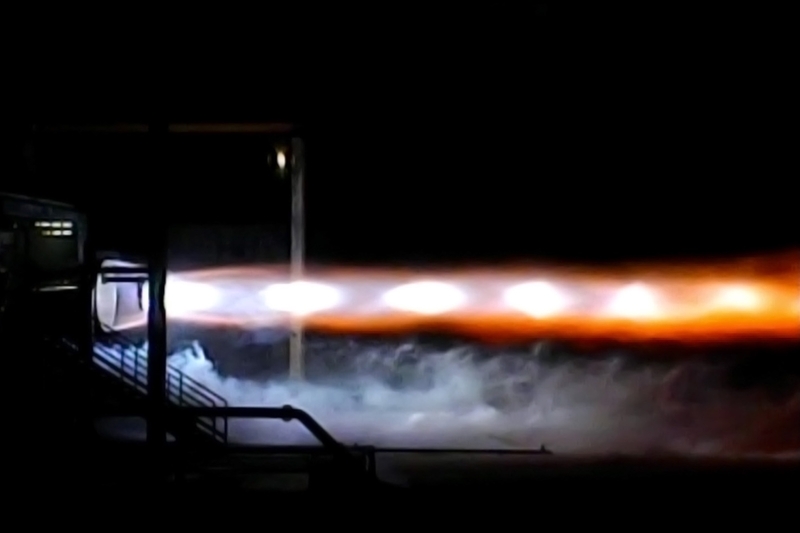 Blue Origin hopes to launch the New Glenn rocket using seven BE-4 engines in its first stage sometime in 2019. The timing for Blue Origin’s successful test is also fortuitous, as the U.S. Air Force released a Request for Proposals (RFP) to replace the Russian-built RD-180 engine with a domestically built propulsion system. 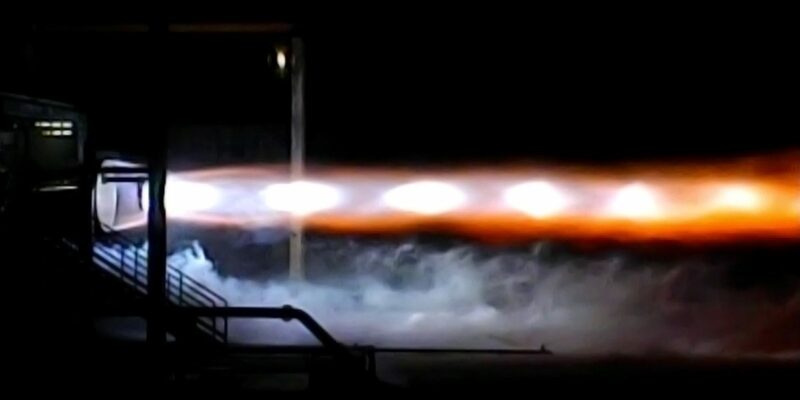 Blue Origin’s primary competitor for this contract is Aerojet Rocketdyne’s AR1 engine, which underwent its critical design review this past May. Proposals for the USAF’s RFP are due on November 20, 2017. After decades, the new risky methane rocket engine finally comes from the private sector. WTF NASA. NASA was saving development costs by basing the J-2X on the proven J-2 engine. Of course once its development was pretty much complete, it was shelved since the Ares I launch vehicle was cancelled. Unfortunately, since the space shuttle started flying, NASA has had a history of developing new liquid fueled rocket engines and then shelving them since the launch vehicle program they would have been used in either never materialized or was cancelled. Luckily we live in an era where both SpaceX and Blue Origin are developing engines for their own launch vehicles. So, as long as funding is forthcoming, there is little chance either engine program (BE-4 or Raptor) will be cancelled. And it looks like funding isn’t likely to dry up (since SpaceX has finally demonstrated a respectable launch cadence in 2017 and Bezos still has many billions of dollars of Amazon stock he can sell). From the course of the test, it is obvious that the oxygen is stronger at the interval, it is necessary to reduce the dose but shorten the interval. Bath of gas under greater pressure. Adjustment of the pressure pump. My opinion. Regardards.